Four years ago Hank was converted into a designated wedding vehicle. 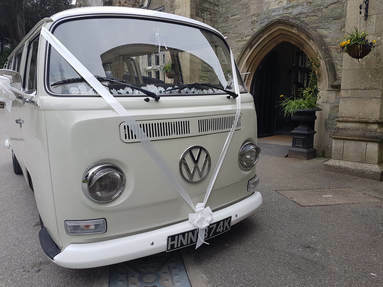 He had a full wedding make over, turning him into a lovely VW pearl white colour which complements any wedding colour or theme. Alongside his stunning new body work, Hank had a transformation inside with a brand new interior and larger seating capacity. Since his transformation, Hank has won two awards for 'Best Bay Window Camper' at the Cornwall Volkswagen Owners Club Show and Shine. He has also made the front cover and has a six page spread in Volkswagen Camper & Commercial National Magazine. 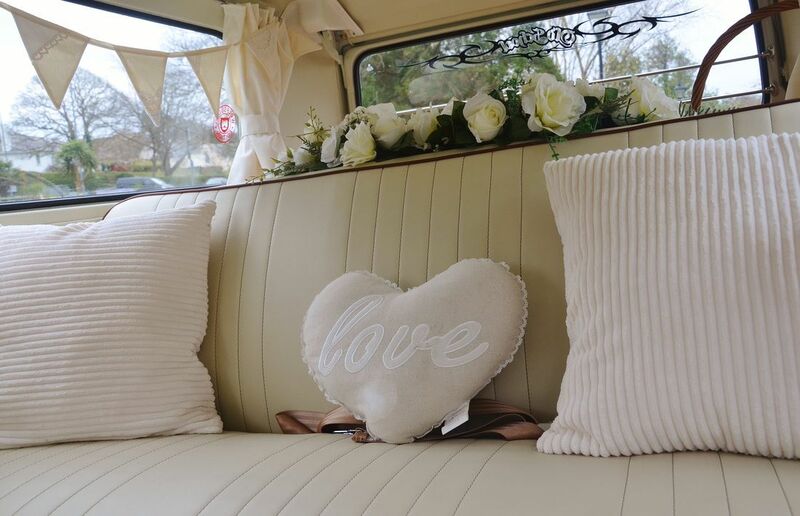 Since joining Honey Bugs, Hank has been a firm favourite with all our brides! Once you see him in person you are guaranteed to fall in love with him. Hank is fully insured with specialist wedding insurance for your peace of mind.